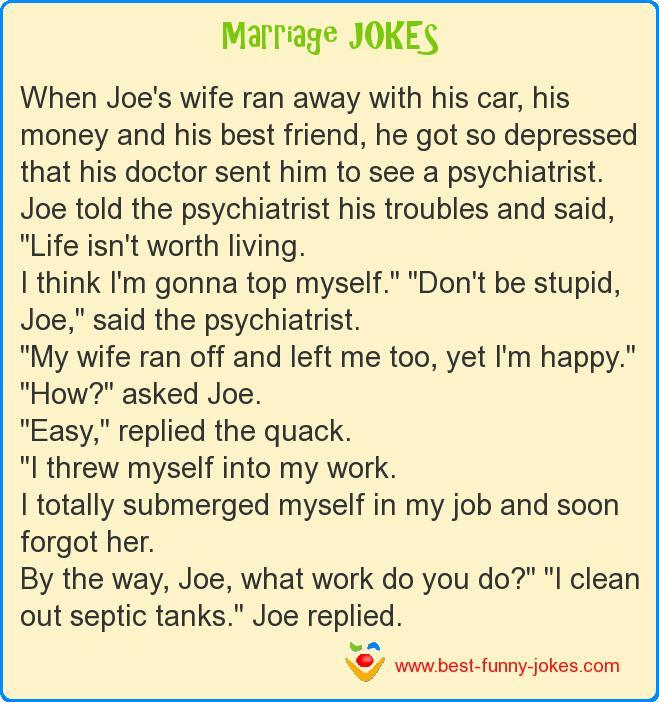 Joe told the psychiatrist his troubles and said, "Life isn't worth living. I think I'm gonna top myself." "Don't be stupid, Joe," said the psychiatrist. "My wife ran off and left me too, yet I'm happy." "How?" asked Joe. "I threw myself into my work. I totally submerged myself in my job and soon forgot her. By the way, Joe, what work do you do?" "I clean out septic tanks." Joe replied.